Two-time Grammy nominee Tommy Emmanuel is one of Australia’s most respected musicians. The legendary guitarist has a professional career that spans more than five decades and continues to intersect with some of the finest musicians throughout the world. Tommy will be performing at the Maryland Hall for the Creative Arts on Jul 24th 2019.
iHeartMedia and Fox Broadcasting Company (FOX) announced today that the 2019 iHeartRadio Music Awards will feature performances by Alicia Keys, Ariana Grande, Halsey, Garth Brooks, John Legend and Kacey Musgraves, with more to be announced. The live two-hour event airs Thursday, March 14 (8:00-10:00 PM ET live/PT tape-delayed) on FOX from the Microsoft Theater in Los Angeles. The sixth annual iHeartRadio Music Awards will also air live on iHeartMedia radio stations nationwide and iHeartRadio, the all-in-one digital music, podcast, on demand and live-streaming radio service. The seventh annual Awesome Con by LeftField Media, the Mid-Atlantic’s premier pop culture convention, will unite 80,000 fans of comics, technology and science, television and film, custom art, over-the-top cosplay, and more at the Walter E. Washington Convention Center from Friday, April 26 through Sunday, April 28, 2019. The convention floor and panel rooms will buzz with hundreds of hours’ worth of programs including: celebrities and experts hosting panels and exclusive reveals; cosplay fashion shows; gaming tournaments; iconic pop culture memorabilia collections; and as always, a diverse array of activities for the whole family. Ten years ago How to Train Your Dragon flew into theaters and to the hearts of kids everywhere. It was a kids’ movie that was actually good. Compelling story, groundbreaking animation and a surprisingly large adult fan following. Now an era is ending, bring multiple generations together for How to Train Your Dragon: The Hidden World, the final chapter in a surprisingly beautiful trilogy. Show your pride. Share your pride. The weekend of March 9-10, visitors can take advantage of a special offer that includes two free kids tickets (18 and younger) with the purchase of one general admission adult ticket. 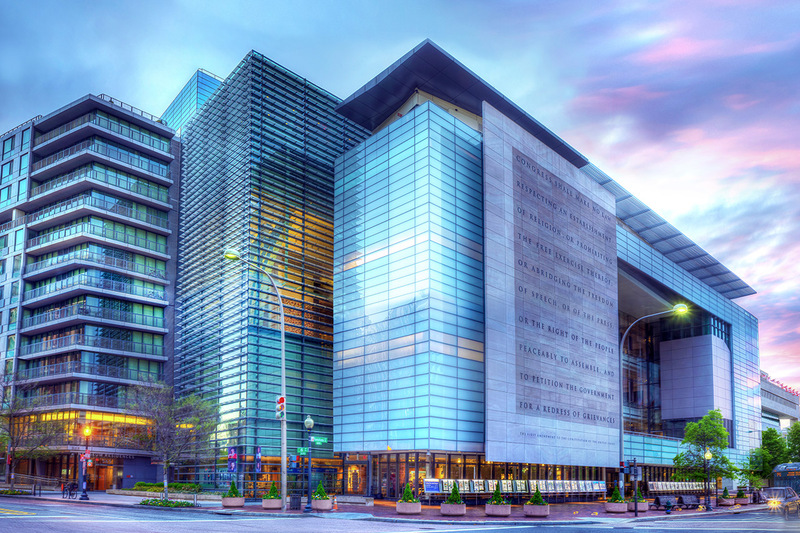 The deal is only available March 9-10, and must be purchased at the Newseum admission desk. Chad Eric Smith’s RUMINATION has took the film ground running since its debut across film festivals. It has been shown in various film festivals from the DC Black Film Festival to Martha’s Vineyard African American Film Festival. RUMINATION has already received 18 awards from Best DMV Film, Best Editing for a Short Film (The Northern Virginia International Film & Music Festival/ The NOVA Fest), Best Sci-fi (The LA Shorts Awards & The Mindfield Film Festival), and MANY more! On Saturday February 16th, the Gin Blossoms returned to State Theater in Falls Church VA and this year marks the 30th year as a music venue. Walking up to the State Theater, it looks just like that, a theater. You walk in and it still has the charm of an old fashioned movie theater but then you walk into the main hall, that’s when the old mixes with the new in the form of a music venue. The Tenth Anniversary Tour of Rock of Ages, brought the Hippodrome to it’s feet! For those of you who have never seen “Rock of Ages” the stage show, this is not the same premise as the movie of the same name. Yes, a lot is the same, but there are vast differences. Characters and plot lines, but who really cares about that when you’re rocking out to killer 80’s tunes!? This show is fun from beginning to end. It’s rocktastic! Over the past year, the desire for stories that aren’t centered around the straight white male has risen. Films like Black Panther or Crazy Rich Asians dominated the box office at record numbers, showing that there is space for everyone on screen. One demographic not normally seen in a positive or romantic light, until recently, is the fat woman. Hollywood, a land that prides itself on glitz and glamour and thinness, often excluded the fat woman from its narratives (unless as a best friend or comic relief). This is changing. Within the last year, movies and shows like Dumplin’, Dietland, the upcoming Hulu show Shrill have shown plus size women in a variety of situations often only afforded to thin individuals. As a fat woman myself, I preface this review with this disclaimer, because its an important context to view the newly released romantic comedy Isn’t It Romantic.